- M.S. 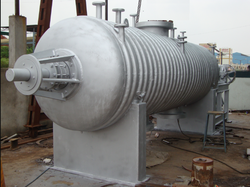 Reactors, High Pressure Reactors, Chemical Reactors, Jacketed Reactors, Process Reactors, S.S. Reactors, Chemical Process Reactors, Limpet Reactors, Mild Steel Reactors, Limpet Coil Reactor, Limpet Coil Vessel, Industrial Reactors. Under the offered range, Provided reactors are able to fulfill the requirements of our customers as these are manufactured by using premium quality raw material that is sourced from the honorable vendors of the industry. In addition to this, we adhere to globally laid quality standards while manufacturing these reactors. 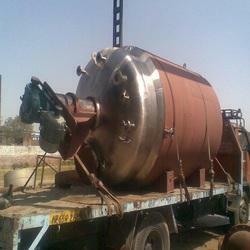 We are leading manufacturer and supplier of Stainless Steel Auto Clave Autoclave. Customers from various regions are placing bulk orders for the reclaimed rubber due to the unmatched quality and inexplicable performance in respective applications. It is specially designed Rubber seal which can withstand height temperature and pressure are provided at both the doors. 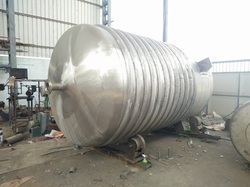 Being one of the most reliable, trusted and renowned companies of this line of work, we are providing a wide range of Chemical Reaction Pressure Vessels. These stainless steel reaction vessels are generally used in the chemical and pharmaceutical companies for the purpose of providing a safe and reliable facility of performing reactions. These stainless steel reaction vessels are available for our clients at a very convenient range of prices. We are offering a quality range of Reaction Vessels that is manufactured utilizing high grade stainless steel. Our offered range of vessel is generally used in chemical and pharmaceutical industries. These are widely appreciated for sturdy construction, temperature resistant, non-corrosive and maintenance free attributes. As per our company standard we are offering an extensive assortment of Agitator Reaction Vessels that is used in number of processing and manufacturing industries. Uses: Mainly used in chemical and pharmaceutical industry. Our range of Reaction Vessels or Limpet Reactors is made using the spiral technology. All these reactors are developed in compliance with the established norms and guidelines of the industry.These reactors are provided with internal cooling coils or jacket depending on the requisite heat transfer. This Reactor is accurately manufactured using Stainless Steel & Mild Steel that is typically used for raise temperature applications. This product is widely used in various industries like medical, building material, chemical, paint & resin industry. With the help of our highly skilled and knowledgeable personnel, we are able to manufacture, supply and provide service best grade Jacketed Reactors. These jacketed reactors are made from best quality stainless steels and other durable materials fabricated using modern technology. Our jacketed reactors have excellent designs and supreme insulation for various chemical processes and reactions. These jacketed reactors are very smooth, corrosion resistant and very easy to maintain. 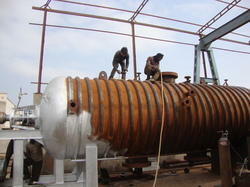 Clients can avail our jacketed reactors at economical prices. In order to cater to the varied requirements of patrons, we are engaged in offering optimum quality M.S. Reactors as per the specified details. To ensure that offered reactors are suitable to be used for industrial applications, we manufacture these by making use of the supreme quality raw material that is sourced from the prestigious vendors of the markets. Offered reactors are known for their compliance with the established quality standards of the industry. 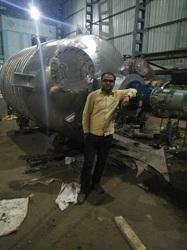 In order to ensure the same, we manufacture these reactors by utilizing high grade raw material that is procured from the trusted vendors of the industry. We are leading suppliers of Process Reactors. These reaction tanks are highly efficient in handling different chemicals which are used in different industries such as pharmaceutical, chemicals, food processing, etc. Our reaction tanks are made from high quality stainless steel raw materials fabricated with compliance with industrial standards. 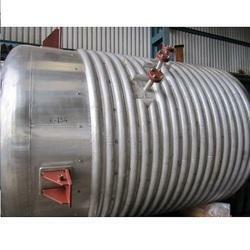 These reaction tanks are corrosion resistant, very durable and highly efficient for long lasting use. We are a leading manufacturer and supplier of wide range of Chemical Process Reactors which are designed to contain chemical reaction. These precision-engineered Reactors is designed by our technical experts in exact specifications of the application area requirements. The design of a chemical reactor deals with multiple aspects of chemical engineering. As an eminent name in industry, we are engaged in manufacturing, supplying and trading a comprehensive range of Mild Steel Reactors. These offered reactors are designed and developed using advanced technology and tools as per the set industrial standards and norms. These are highly acknowledged in the industry for their rugged construction and steady performance. 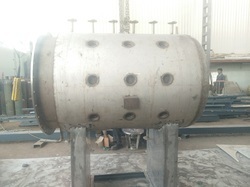 We are able to customized size of the reactor as per client requirement. 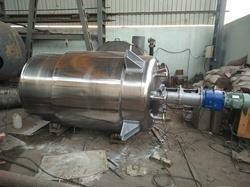 We are manufacturer of Agitated Reaction Vessel. 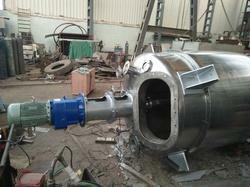 We are leading manufacturers and suppliers of Reactor Vessel. With immense experience of the domain, we are manufacturing and supplying a wide array of excellent quality range of Industrial Reactors. These products are highly demanded in the market for their affordable prices, optimum durability, fine finish and long service life. These products are available at various specification and capacities to fulfill the various requirements of the valuable clients.